This coming Sunday, October 7th, we are excited to invite you to the Bella Luce to enjoy an exhibition of works by artist Bozena Pollock. 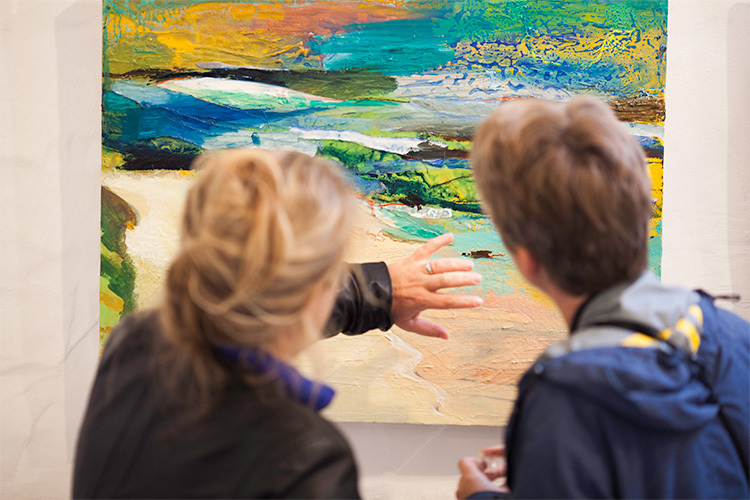 Bozena works with oils to produce canvases depicting Guernsey’s panoramic landscapes, celebrating the ever-present ocean in all of its moods, large island skies and dramatic sunsets. 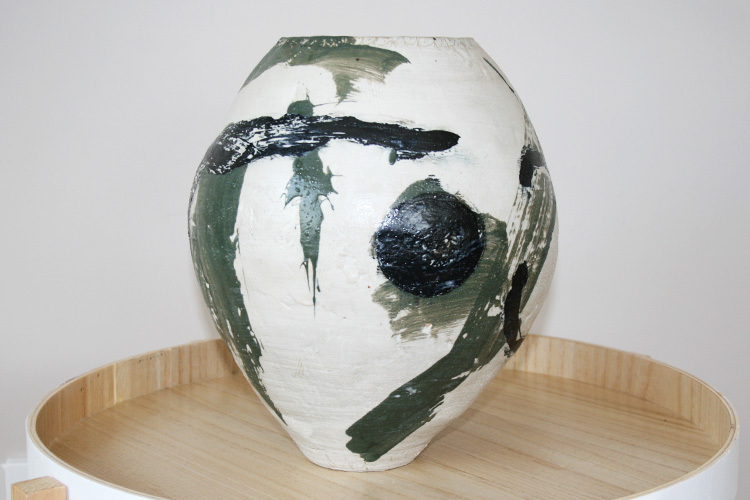 The exhibition is a reflection of her work over the last year, including the clay pots that she has started making, inspired by her painting, which are displayed in the exhibition. Having studied in Krakow, Chelsea and at London Metropolitan University, Bozena worked at London’s National Portrait Gallery and Hampton Court Palace undertaking conservation and restoration work; work which gave her a deep understanding of art history and which informed her own expressionist style. 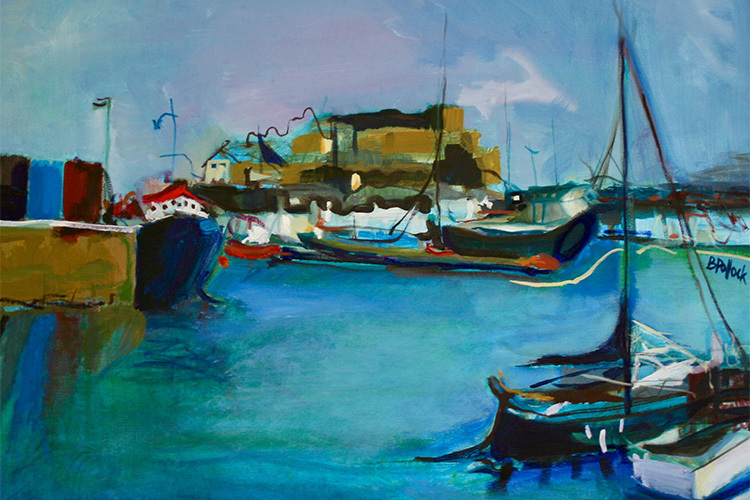 Now residing here on Guernsey, she combines her career as an artist with raising a family and takes inspiration for her landscape works from the scenery that surrounds her. "This last summer in Guernsey has been fantastic. Sunny and warm evenings which have been calm with no wind. 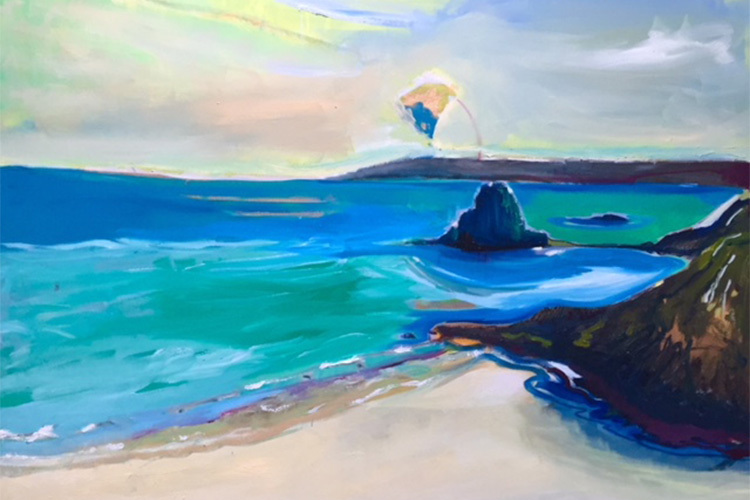 This inspired me to paint a few images of Herm which are displayed." "Generally my painting is about colour and energy and I try to interpret the landscape using oils as I feel it should be presented. I don’t want to paint exactly what is there in front of me but I want the emotion and feeling of observing the scene to be reproduced, allowing the painting to continually unfold itself to the viewer. This is particularly true in some of my more abstract work where I hope that the pictures become more revealing the longer they are interacted with." 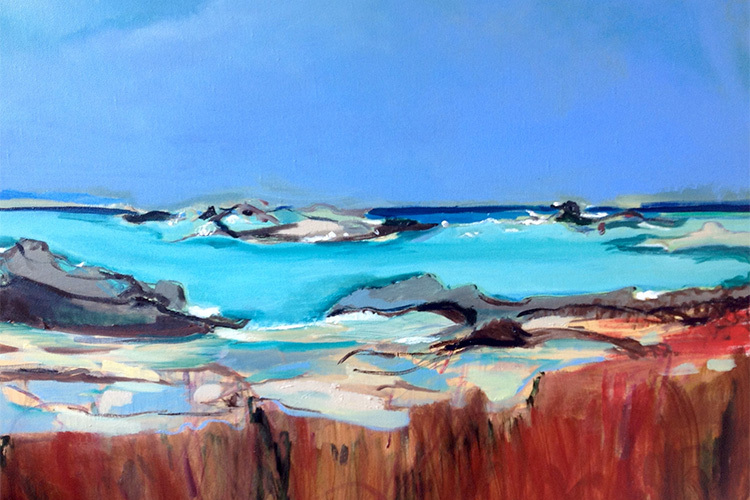 Please join us from 3pm to 6pm next Sunday for a reception and viewing of Bozena’s exhibition at the Bella Luce. Bozena's work will be available to purchase, with 20% of sales being donated to Guernsey Dyslexia Day Centre. See more of Bozena's art at www.bozenapollock.com.